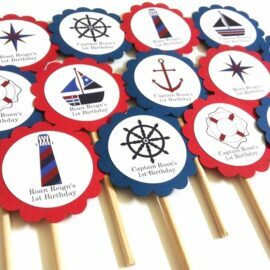 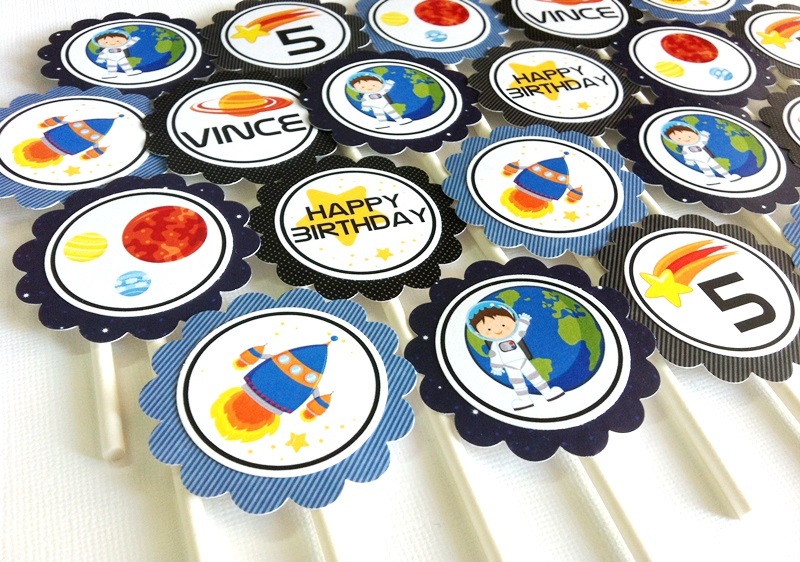 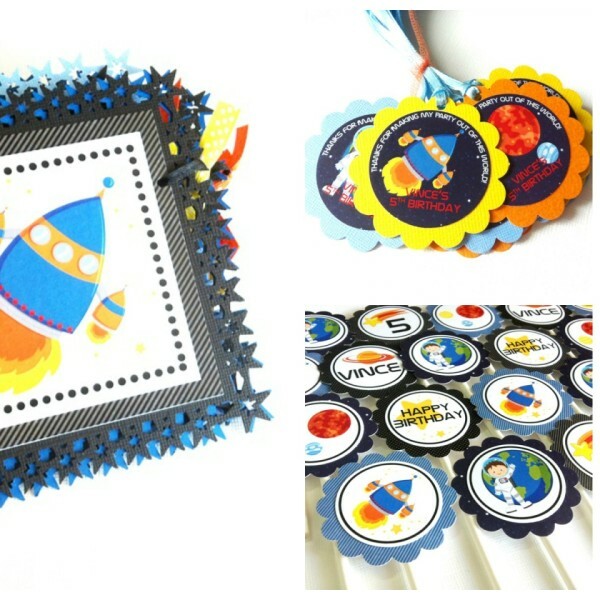 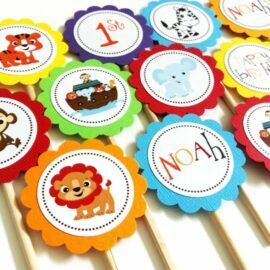 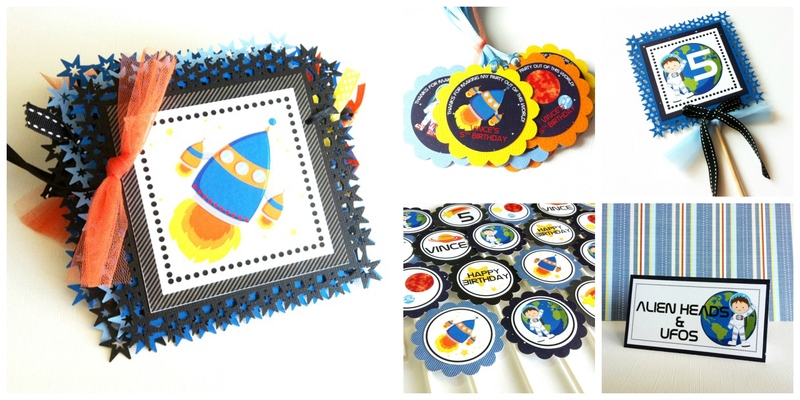 In this set, you will receive 12 fun Outer Space Cupcake Toppers for Birthday Party, including personalized ones with your child’s name and age. 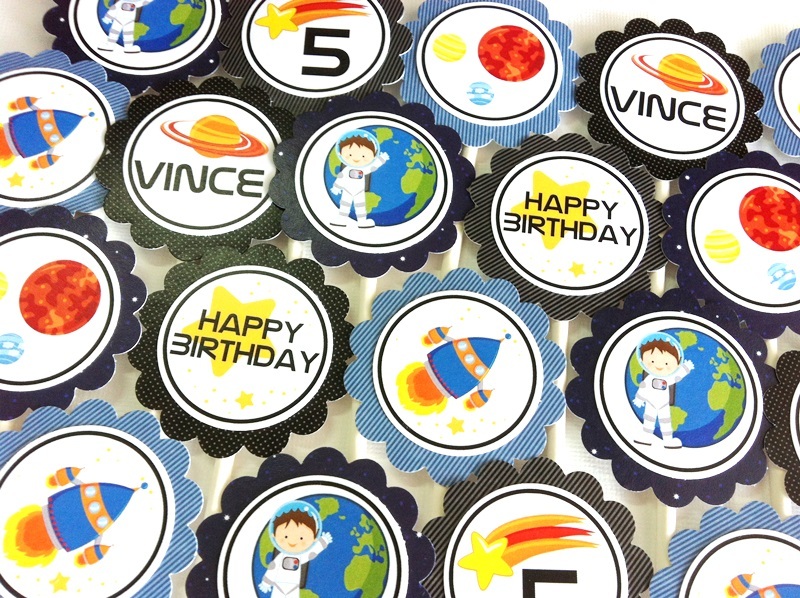 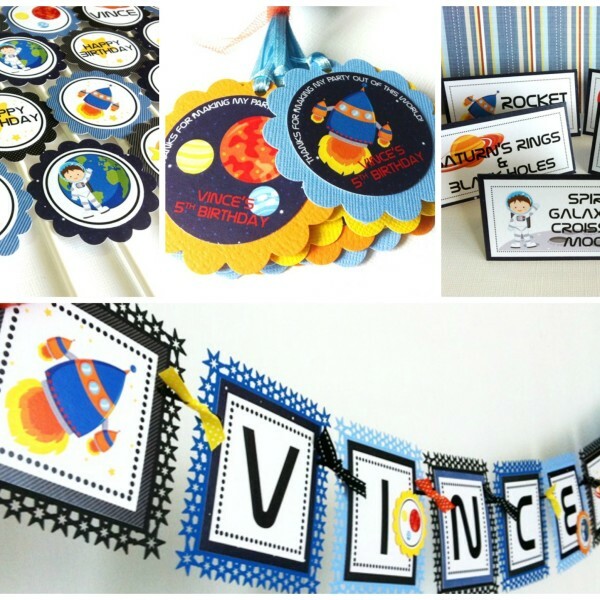 Make your child’s Outer Space party an unforgettable event. 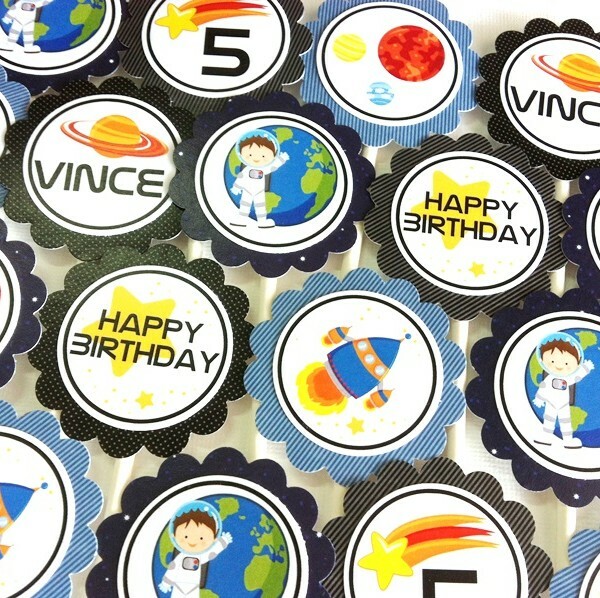 Outer Space themed party is a perfect theme for Astronomy fans. 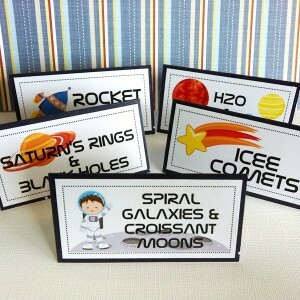 Does your child fascinate by the Solar System? 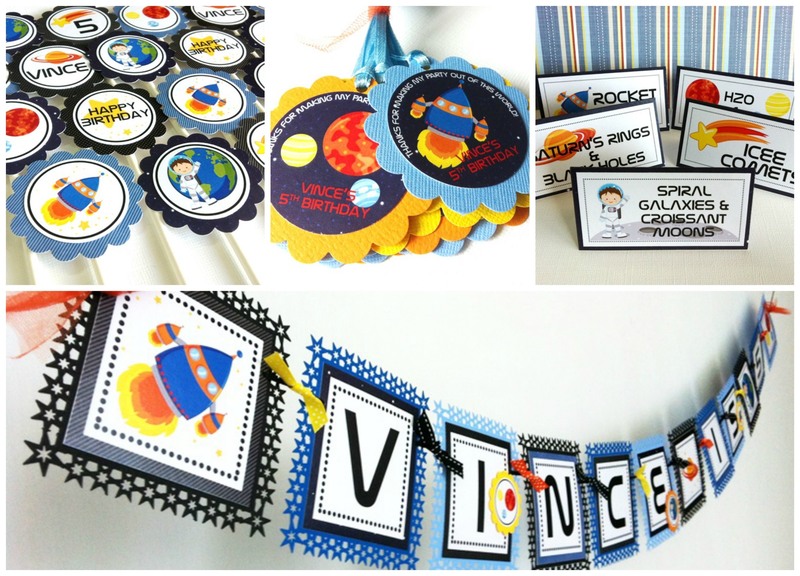 Let us transport your child and his guests to a different universe! 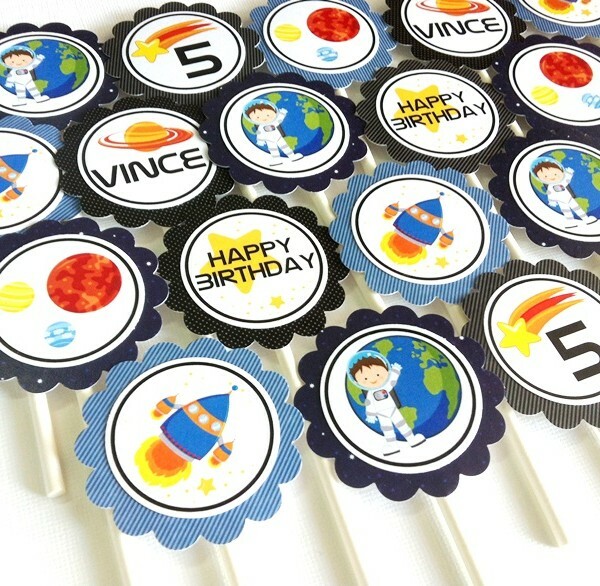 Gorgeous Space inspired images such as Rocket, Planets, Astronaut and Stars are used to make these Outer Space Cupcake Toppers. 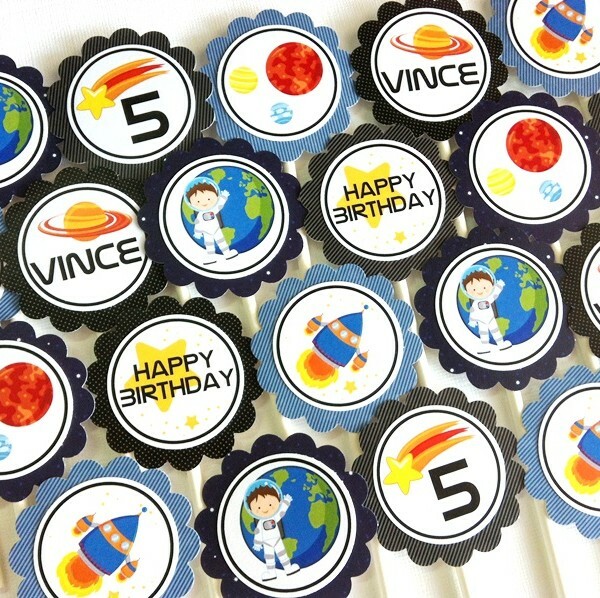 This specific set of cupcake toppers uses 3 (three) different colors: 2 blues and 1 black. 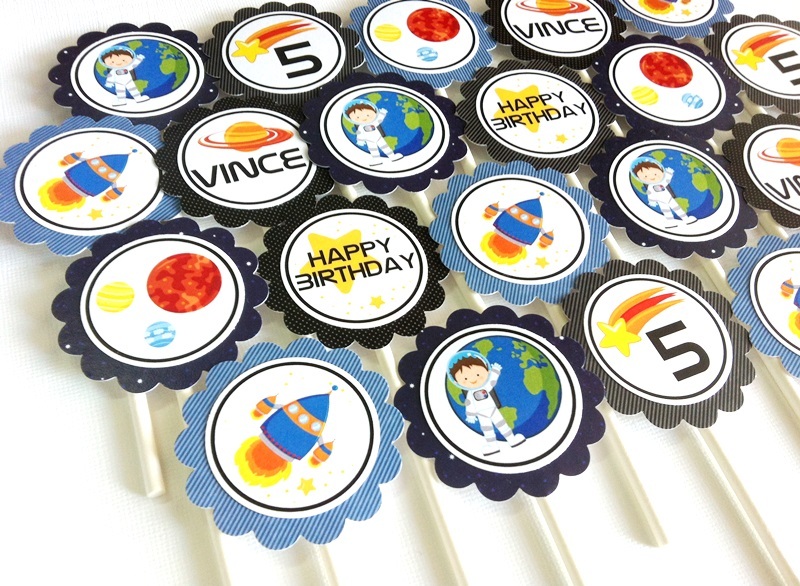 If you have a different color combo in mind, please let us know as colors can be customized. 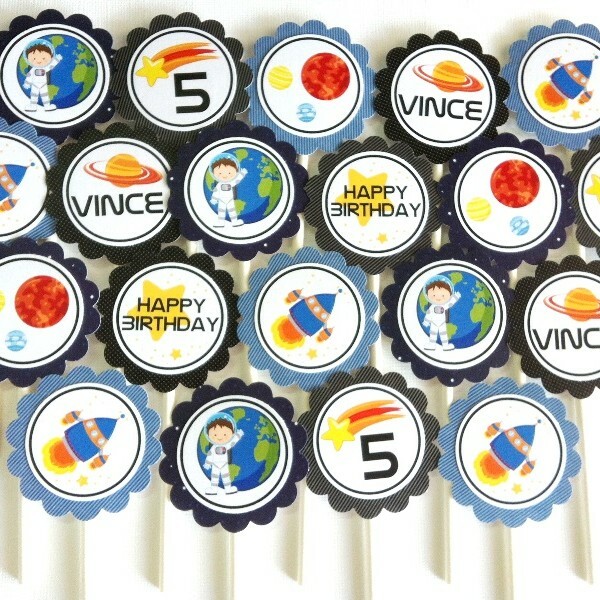 Please note that these Outer Space cupcake toppers shown in this listing is catered to a boy’s party. 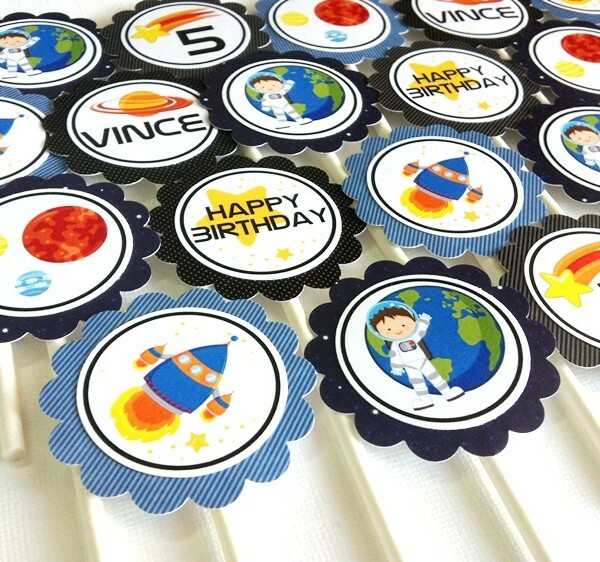 But who says that Outer Space theme is only for a boy? 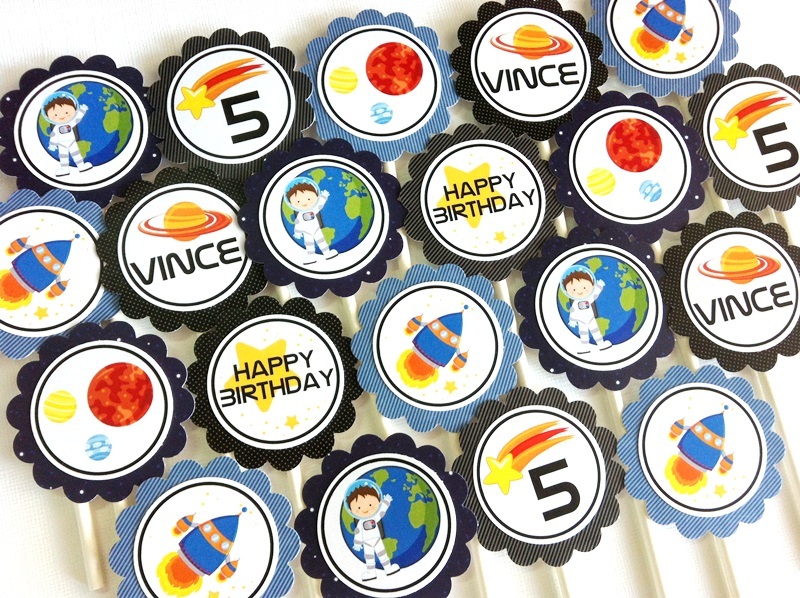 It’s a perfect theme for a girl’s party and a topper with a Girl Astronaut is available upon request. 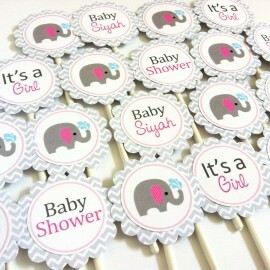 Colors can also be changed to reflect a girl’s party. 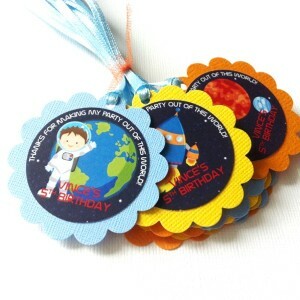 Simply kindly ask and we can make it happen. 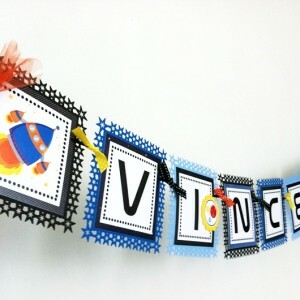 2. when your party date is. 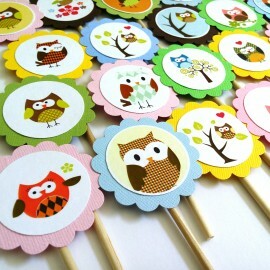 It is VERY important to ensure we can meet your timeline. 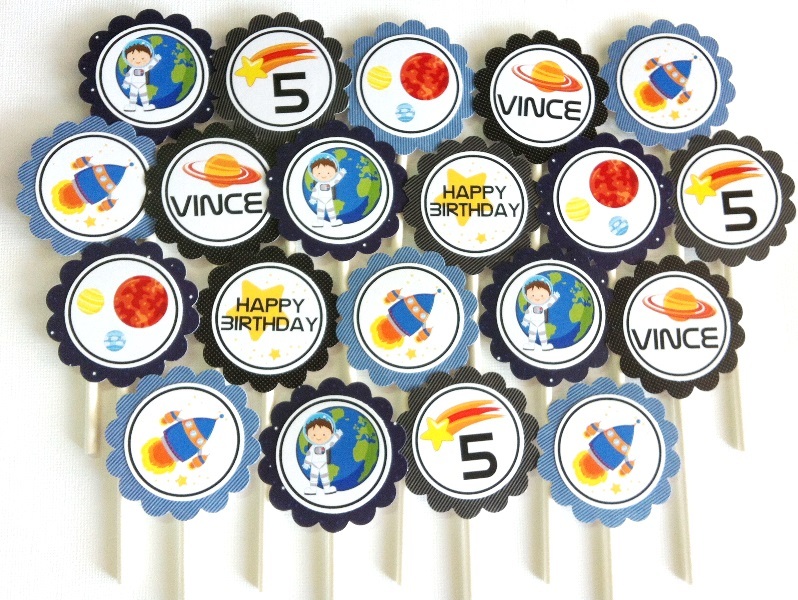 Each of these Outer Space cupcake toppers is about 2 inch in diameter.